We went to Oktoberfest yesterday at the Old World Village in Huntington Beach. If you ever go, you have to stop by the deli and bakery and pick up some German delicacies. Well, one of our many purchases included a couple of pounds of Weisswurst, a Bavarian sausage made from veal and pork. 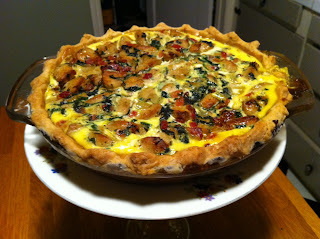 Not satisfied to just grill the sausages for dinner tonight, I decided to use them in a quiche. That and the fact that there were only 2 sausages leftover from yesterday. One of the great things about a quiche, is that they're pretty easy to make, kind of baked omelet in a pie crust. Although I did make the crust from scratch (not that impressive, it's only 4 ingredients - flour, salt, butter & water), you can use a frozen pie crust. I sauteed onions, bacon, spinach and the Weisswurst together. I then put that in the baked crust and poured a mixture of eggs and milk over it. Bake for about 40 minutes and voila - a pretty yummy dinner! 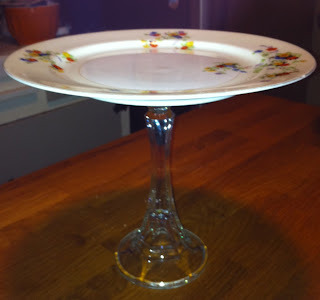 Oh, I did want to point out the lovely cake plate I used to display the quiche. I got this from an antique shop near me. 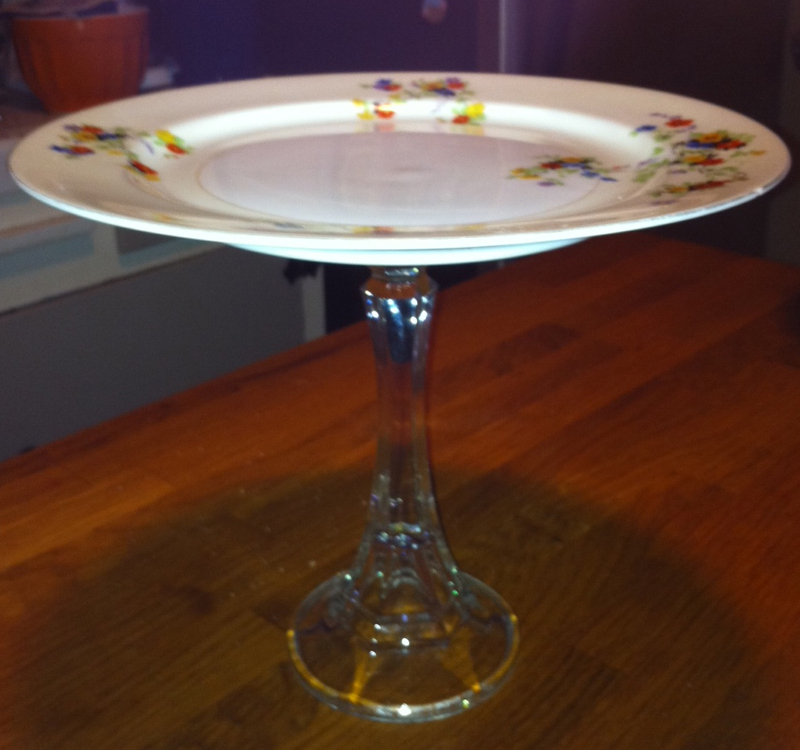 It's an old plate that's been glued to an old glass candlestick, pretty nifty.